Facebook offered $3 billion for Snapchat. Evan Spiegel said no. 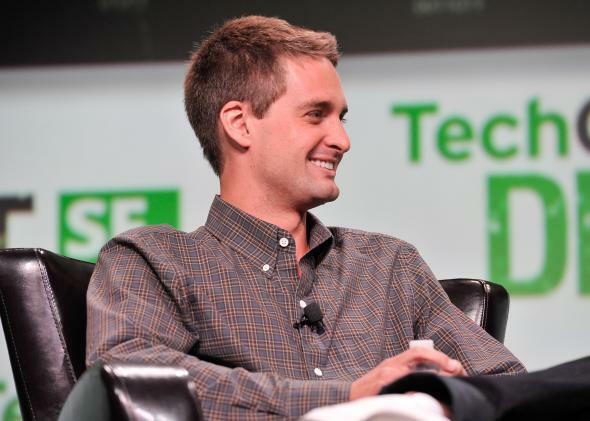 Evan Spiegel just turned down $3 billion reasons to smile. Facebook may be losing teens, because they don’t want to post personal status updates on a site that broadcasts everything to their parents, grandparents, teachers, and future college admissions officers. Evan Spiegel, Snapchat’s 23-year-old co-founder and CEO, will not likely consider an acquisition or an investment at least until early next year, the people briefed on the matter said. They said Spiegel is hoping Snapchat’s numbers—of users and messages—will grow enough by then to justify an even larger valuation, the people said. Snapchat, it behooves me to point out, makes no money. I don’t mean that it is spending more money than it takes in, like Twitter. It literally does not have any revenue. Save all the pictures/chats, threaten to post them unless people pay up? OK, so let’s admit that “advertising” is plausible. And let’s stipulate that while we’re all laughing at Spiegel today, there’s at least some possibility that he’ll be the one smirking last, Zuckerberg-style, when Snapchat becomes the world’s next social-media giant. But man, it sure seems like the chances are far greater that he’ll someday sit down for an interview with Esquire or Businessweek and reflect ruefully on just how and why, in his exuberant youth, he passed up the sweetest deal any 23-year-old startup founder is likely ever to see. Also in Slate, Matt Yglesias applauds Snapchat’s chutzpah for turning down Facebook’s offer.